Elevator Drop 1.0 Description Experience tilt control like never before in this fast paced survival game. 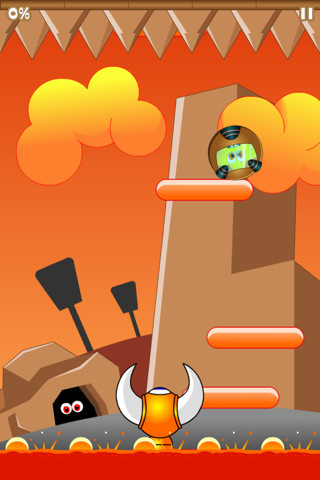 Drop down onto elevating platforms while avoiding the bubbling lava at ground level. Careful where you tread, some elevators are not so friendly! Main features include high resolution Retina Display graphics, super smooth animation running at 60 FPS, Game Center integration, multitasking support, and music by Mathazzar Studios.